Shane Faunce doesn't shy away from one fact that makes his particular sales job a constant challenge: Unless someone makes their living on the water, they don't need a boat. It's one of life's ultimate luxury buys. "When someone is trying to buy a boat, it's an emotional purchase," says Faunce, president of Tampa Yacht Sales. "I want to work with somebody willing to slow down enough to take advice from someone who's been doing this a long time. Everyone wants to sell a boat and make a commission. But the way to go about it is to make sure you're giving the customer the right information, not just what they want to hear." Faunce accepts that this raw honest approach might cost him a sale. "I really try to help people understand the true cost of boating," he says. "If I scare away someone looking at a $100,000 boat and I don't sell a boat to them, I'm not going to lose sleep over it. Because I probably helped them not make a financial mistake." A Florida native, Faunce grew up boating in the Ocala area. 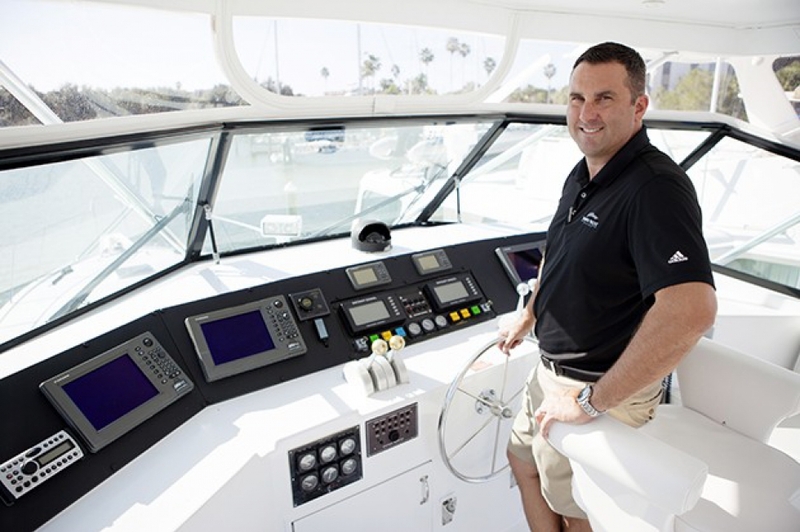 He started working for Clearwater-based boating sales giant MarineMax in 2002 and was doing well there, until the recession hit and new boat sales fell. He got into the brokerage business and started Tampa Yacht Sales in 2012. The company has done $18 million in sales since its inception, averaging more than 40 sales a year. Listings range from $50,000 to more than $2 million, with an average sale of $125,000. Thanks to his decade-plus in the business, Faunce now has a database of some 600 customers to whom he's personally sold boats. Faunce doesn't use a standard script or pitch when working with customers. But one thing he always does is ask questions. "Ask questions and listen," he says. "It's very powerful, but you just have to shut up long enough to hear what people really want. People will tell you what they're looking for, and if you can hear them and grab onto a couple of those main points motivating them, you should have a customer pretty easily." Once he has a customer, Faunce makes sure not to disappoint them and works to avoid over-promise/under-deliver syndrome. And if something goes wrong, Faunce knows the responsibility lies with him. "I'm running and owning my own business, so there's nobody to blame but the man in the mirror," he says. Faunce thinks anyone has the potential to succeed in sales. "You don't have to be a talker; you don't have to be outgoing," says Faunce. "You don't have to be anything but willing to deal with rejection, to ask questions and to maneuver around those questions." Stay afloat. Yacht broker Shane Faunce says he never dwells on rejection. "Just keep moving forward and find the next guy you're going to be able to get in front of," he says. "You can't waste time on rejection; you've got to move on." Have heart. "When you find something you're passionate about," says Faunce, "it's less like work." The recession taught him the importance of having a job that made him happy, despite what his monthly income was - or wasn't. "Do what you know makes you successful," he says, "and fight through the tough times." Keep going. "I want to build a relationship with somebody and help them buy and sell five boats over the next 10 years," Faunce says. "It just becomes exponential. You have to be interested in what's the next deal."